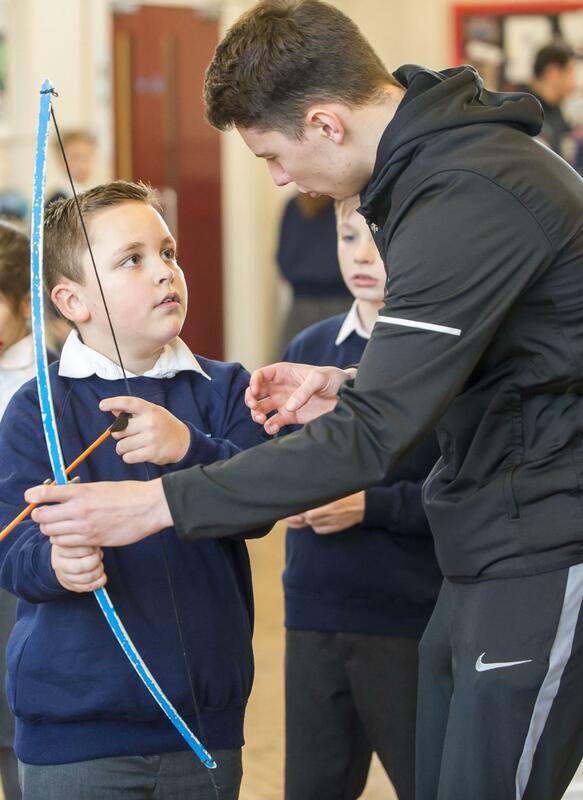 Premier Sports Coach Steven Crossley at Reynolds Academy teaching Archery and Fencing. 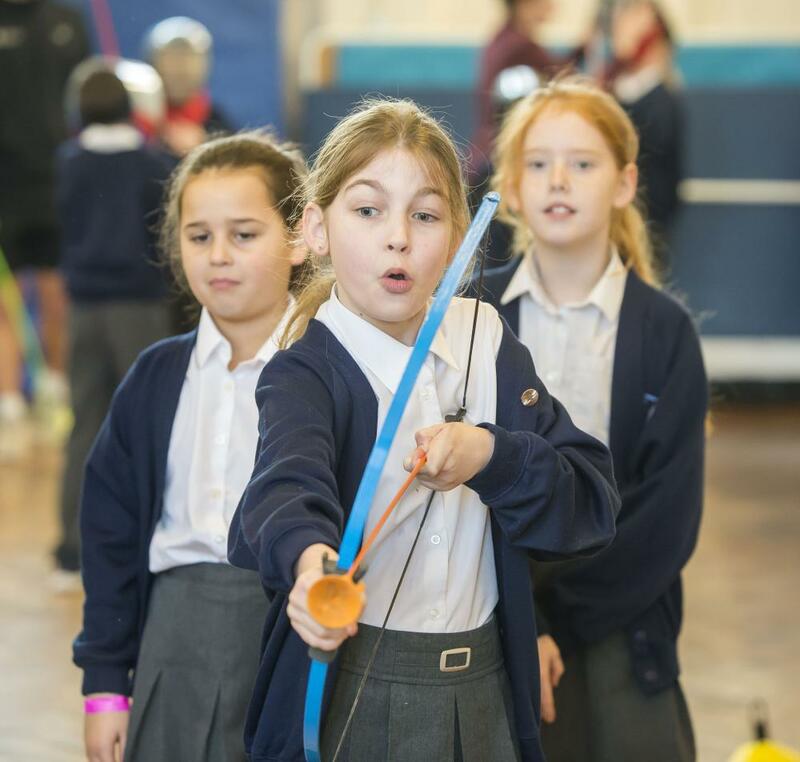 Reynolds Academy Year 3 and 4 pupils Lily-Grace Steer (front), Lola Butters (left) and Olivia Forster (right) take aim during the indoor Archery lessons. 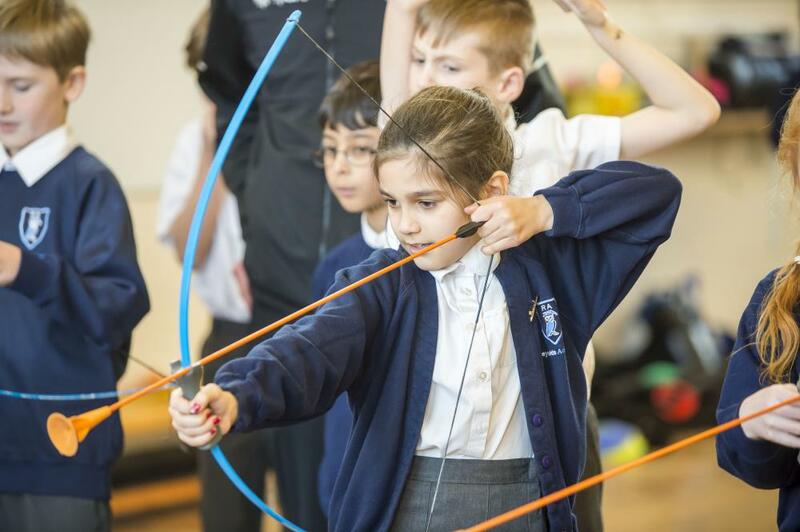 Children at Reynolds Academy ignored the miserable winter weather and learned Archery and Fencing indoors courtesy of Premier Sport. The Academy, which is a member of Tollbar Multi Academy Trust, explores a wide variety of enrichment opportunities for all of its pupils in preparation for Secondary School, promoting coordination and balance and nurturing talent. Dan Coulling, Curriculum Leader for P.E., said: "There was a buzz of enthusiasm throughout the gym as the Year 3 and 4 children picked up the skills quickly and demonstrated some fantastic precision and accuracy." The activities were delivered by Steven Crossley and Harry Burnett-Haynes. Steven said: "The children really enjoyed the activities. They were enthusiastic and willing to learn. 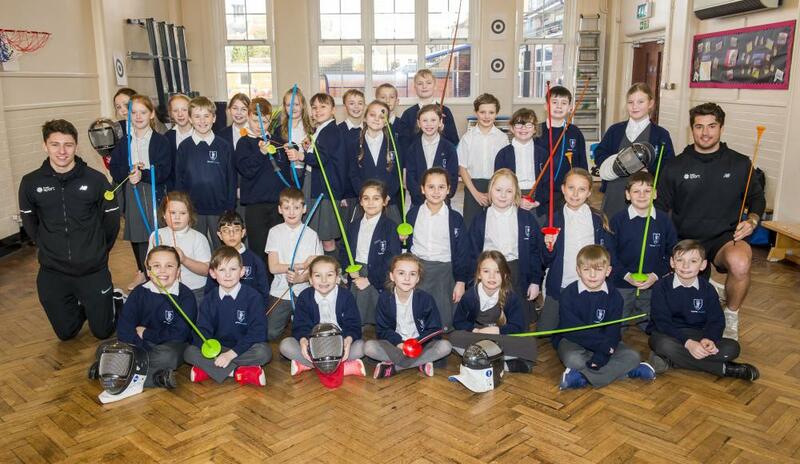 Fencing uses sideways movements, so challenge really, and Archery has a competitive edge for the children." Bella Sehgal concentrates on her shot. The Year 3 and 4 pupils with Premier Sport Coaches Harry Burnett-Haynes and Steven Crossley. Kenzie Lord gets some instruction from Coach Harry Burnett-Haynes. 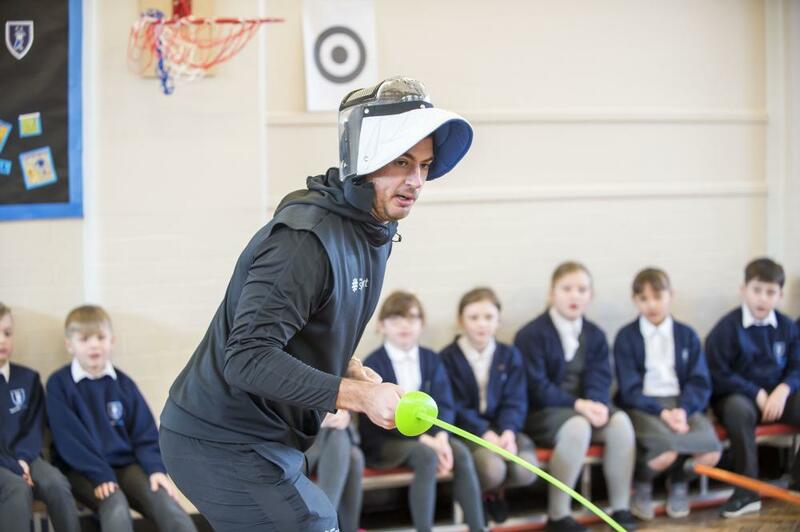 Coach Steven Crossley demonstrates Fencing skills as Reynolds Academy pupils look on.